This Neoprene 1 Liter Water Wetsuit wrap is made of high grade neoprene material and fits around standard 1 liter water bottles. Use the Neoprene 1 Liter Water Wetsuit to make a style statement about your brand and company. Imprint your business logo and tag line on the wetsuit to boost your brand’s image. The useful wrap is made of high grade neoprene material and fits around standard 1 liter water bottles. 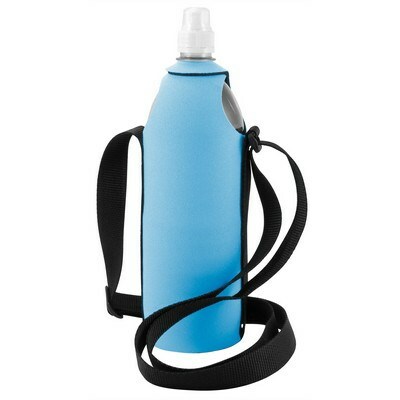 It features a convenient shoulder strap that makes it easy to carry your water bottles. Give away the water bottle wet suit at high schools, colleges, offices, campsites, and trade shows to make the best first impression for your brand.